In a heightened era of American Exceptionalism under an overtly chauvinistic President and administration, IHRC is convening a conference to unmask the more systemic problems that undergird US Exceptionalism. 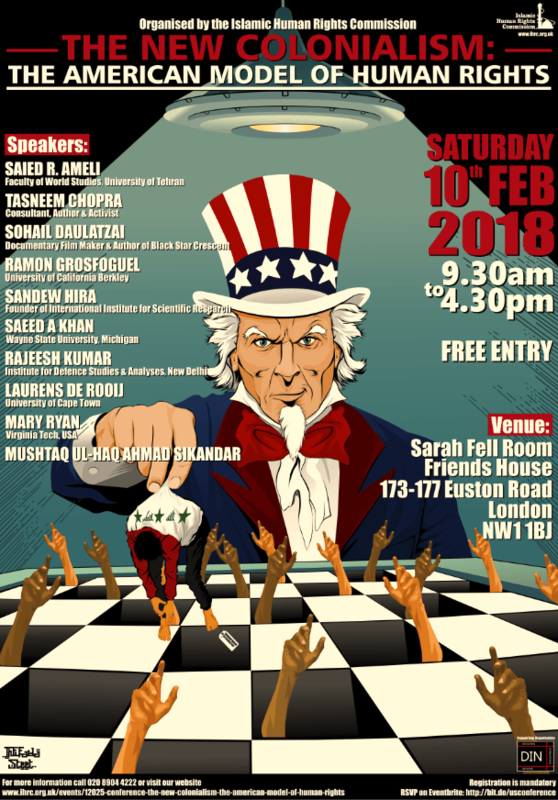 This conference will focus on the Americanisation of human rights, and the praxis of human rights, arguing that they have become a tool of US-led foreign policy rather than a transformative discourse that seeks to liberate individuals, groups and indeed large sections of society who are oppressed by unjust systems. How has advocacy and narrative changed over the last fifty years? How does it need to change to tackle manifest injustice in the contemporary era? How and what do current modes of human rights narrative and praxis mask internal injustices, indeed the contradiction at the heart of the US State?